MANILA, Philippines – A Palace official on Wednesday said Malacañang would push for the passage of the long-awaited freedom of information (FOI) bill in the next Congress, one of the priority legislation of President Rodrigo Duterte. “We’re setting our sights on the next Congress under a new leadership,” Communications Assistant Secretary and FOI executive director Kris Ablan said in a text message to INQUIRER.net. “Yes we will be more active in July. With our learnings from 2 year implementation, we are revising the FOI bill. We also have found new FOI champions who would push for early passage in Congress,” Ablan added. In July 23, 2016, Duterte issued Executive Order Executive Order No. 2, which laid down a policy of full public disclosure and transparency in public service to promote accountability, and set the guidelines for requesting and releasing information from offices under the executive branch. The executive order (EO) does not cover the legislature, judiciary and even local government units (LGUs), though it encourages them to observe the order. Halfway through his six-year term as President, Duterte has not seen Congress pass any FOI bill. Asked if the President would write to Congress to pass an FOI bill, he said there was no need for that. “There’s no need. The ball is in Congress’ hands. The Executive has done all to move transparency forward. Nagdadahilan lang ang Congress,” he said. On January 30, the House adopted on second reading House Resolution No. 2467, authored by Speaker Gloria Macapagal Arroyo, which would require majority consent to release lawmakers’ SALNs. 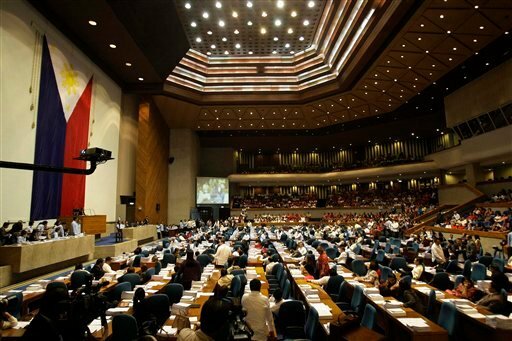 Asked about the House resolution restricting public access to the statement of assets, liabilities and net worth (SALN) of congressmen and employees of the chamber, Ablan, who oversees the FOI implementation in the executive branch said he shared the position of Presidential Spokesperson Salvador Panelo.